“Progressive” is a word that gets tossed around a lot these days, used and misused in the process, and generally misunderstood along the way. For this blog I would simply say it means to move things forward and to do so in an eco-friendly, sustainable and socially responsible way. There are those who call such thinking an economy killer and perhaps there is some truth to that. However, there are also those of us who believe that no, it is a business maker. Throw in the fact that, in addition to not killing business, it is not killing reefs, mangroves, wetlands or local culture, and I think I can make a good argument that progressive tourism is what many vacationers want and can still provide a healthy, and long term, sustainable tourism economy. Mahahual’s tourism development began with the progressive intentions of its beginnings, and we are today, finally beginning to see our progressive tourism thrive. 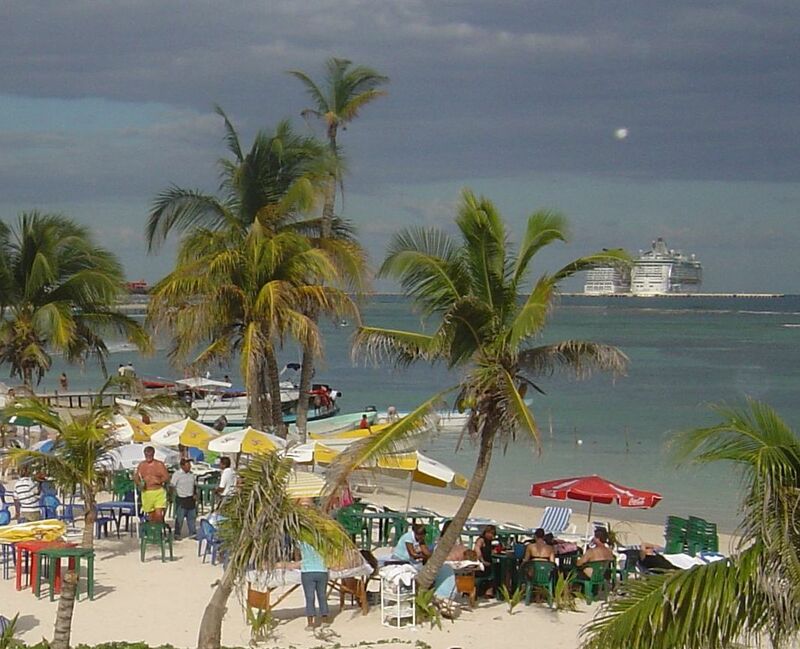 Mahahual’s tourism development began about 40 years after the nation of Mexico put in fisherman’s cooperative in the area that is today, the downtown beach. 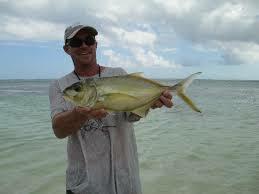 Check my blog on the brief history of Mahahual for a bit more on that. In the late 90’s though, the four countries that share the Caribbean’s Meso-American reef system; Mexico, Belize, Nicaragua and Honduras, each agreed to each put forth their own low environmental impact regulations for future development. 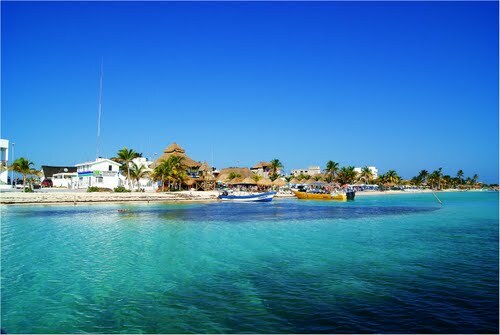 Mahahual was developed under that set of very progressive regulations, creating a sound basic foundation upon which to build a new and different type of sustainable tourism. The master plan of how tourism would develops is typical Mexican in style. What that means is they do what they can with the money they have, which is always limited, and then have to often sit back and let time, and a natural “business inertia”, do the rest. However, those who understand how Mahahual actually was designed and planned, are always surprised and impressed that Mexico would do such a venture. How they did it was genius though, mixing high volume cruise ship tourism, which has minimal environmental impact, with low volume but higher impact small hotel tourism. Read my blog on the environmental impact regulations for a more detailed explanation of the regulations and how they work here. The higher volume cruisers provide the income needed to create a solid economy, while only impacting us for a short duration each day. They do not drive cars and their impact on our very expensive, wet land approved sewage treatment plants is minimal, as well as our equally expensive sanitary landfill. The thousands of tourist who come to Mahahual, leave much more money for local businesses, than they leave environmental footprint. That is progressive! The building regulations have produced only small environmentally friendly boutique-like businesses today. Hotels have limited numbers of rooms, usually less than 10, and beach clubs are regulated as to both the amount of seating they can have, as well as the type. For example, beach establishments are allowed fewer loungers than tables because lounger people use more sun screens and are actually in the water more, while table guests, they assume will be less, of both. Less time in the water, means less sunscreen, less Corona and anything else swimmers leave in the water, and ultimately, less impact on the reefs. That’s progressive! Keeping a small town small, is again how you keep impact minimal as well. Mahahual is small enough that a car is not needed if you are staying in town. Most places you can walk to, and bicycle is also a common way to get around. 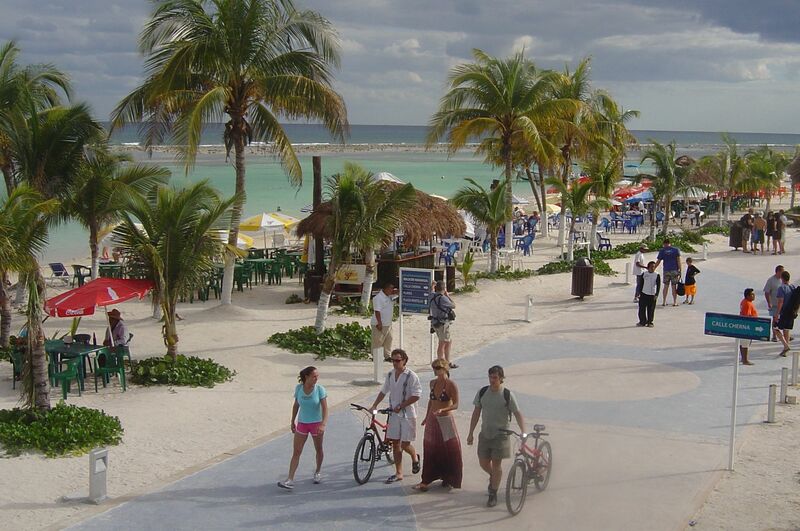 Many of the hotels even have bicycles their guest can use while staying in Mahahual. The downtown has an beautiful pedestrian/bicycle only malecon that makes walking almost anywhere a pleasure! If you do not need a car while in Mahahual, then why rent drive yourself, just to drop more oil, gas and whatever else falls from under a car, onto our few roads. Buses, the typical way most get around in Mexico, are again a mass transportation solution many progressives like, not to mention those who just don’t like to drive in foreign countries. Buses, bicycles and a pedestrian friendly downtown … Sounds progressive to me! Much of our tourism is eco-friendly and sustainable these days. When the town first began, boating and water sports activities, the sort of traditional money makers in Mexico’s tourism, were not addressed in the original regulations. 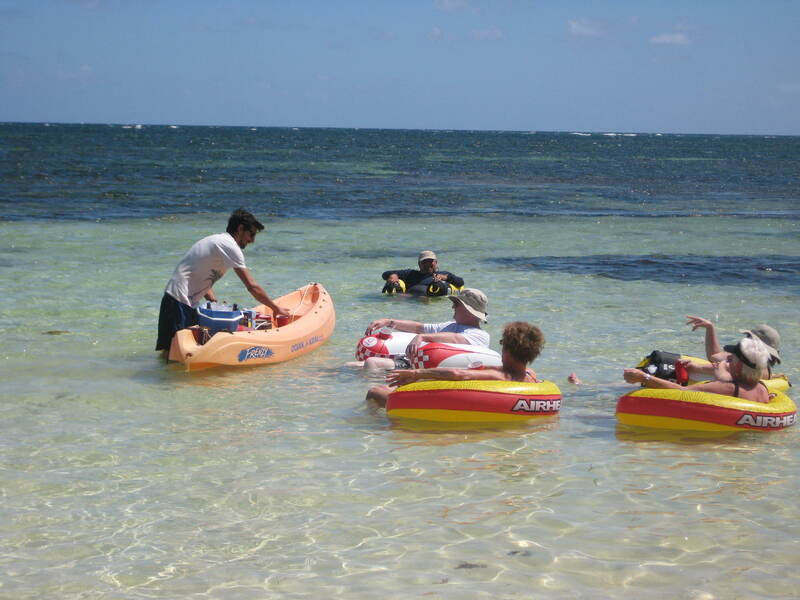 The result was that activities like jet skis, banana boat rides and para sailing all came to town. What also came though, were divers who understood the importance of sustainable tourism because they swim in the result of it every day for their livelihood, as well as many genuinely green thinking business owners wanting to be a part of Mexico’s first eco-tourism attempt. As time has gone, that inertia I spoke of earlier, has slowly begun to move us toward more sustainable forms of tourism. Paddle boats, clear kayaks, sail boats, paddle boards and glass bottom boats are taking the place of jet skis and banana boat rides. Today, you can pole a flat bottom boat through tarpon filled mangroves, throwing flies, and catching and releasing trophy fish. You can kayak to a secluded reef and snorkel with sea turtles who still call the area home because there is less and less oil on the water. Paddle board with manatees for the same reason. If the dolphins, turtles and manatees haven’t left yet, we must be doing something right, or as I would argue, something progressive! Our hope is that local pressure, or that inertia, will continue to push the few local companies who still have dirty businesses to change. As wave runners get older, operators are seeing the economics of replacing them with the greener forms of water sports. 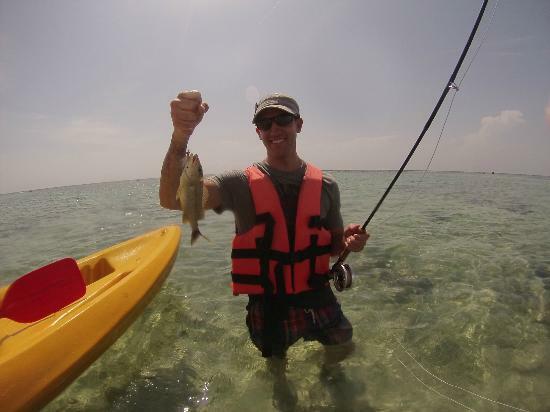 A clear kayak costs less, has no fuel or upkeep costs, and rents for almost as much. Duh, that’s not progressive, that is just smart business. Our entire ecosystem, the jungles, fresh and salt water lagoons and mangroves are slowly being explored by a newer breed of eco-driven tour operators. Biologist and archeologist are replacing original less qualified, money driven tour operators, and giving better ruins, jungle and cultural experiences in the process. And even new areas of eco-friendly tourism within Banco Chinchorro, the crown jewel of natural treasures 12 miles off Mahahual shores, are now opening up. 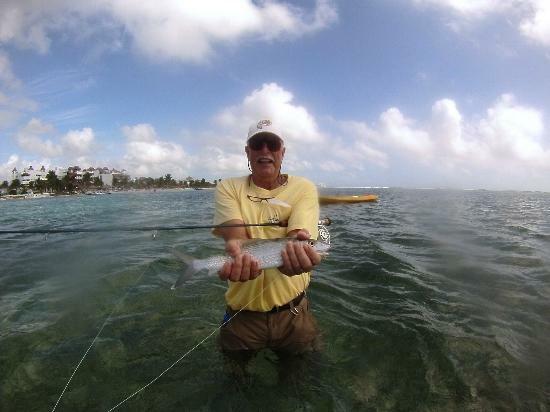 In addition to limited and heavily regulated diving, the first fly fishing tour service permit was recently issued, allowing anglers to now fish what is easily the best and least pressured fishing area in the Caribbean. The old style of staffing and pay is also changing, with new businesses paying living wages to their employees and not the shamefully low average of $10-$20 dollars a day. Newer businesses are paying far more, getting better people and providing the high quality service foreign vacationers want and expect. Paying slave labor wages forces workers to try other means of making money, usually at the expense of the guests too, and terrible for business. Some still work that way but like everything else here, it is changing slowly and for the better. We still have ways to go but now that we finally have our feet under us again here, we can continue the development of tourism in the manner we were intended, eco-friendly and sustainable. 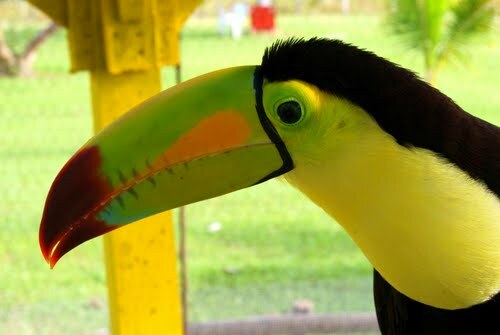 If you enjoy and support progressive tourism, come and see for yourself what we are doing here. Enjoy our reefs, beaches, jungles, lagoons and archeological wonders with people who treasure, and treat those same natural resources with the respect they deserve. Oh, and no, they do not kill business in the process either! 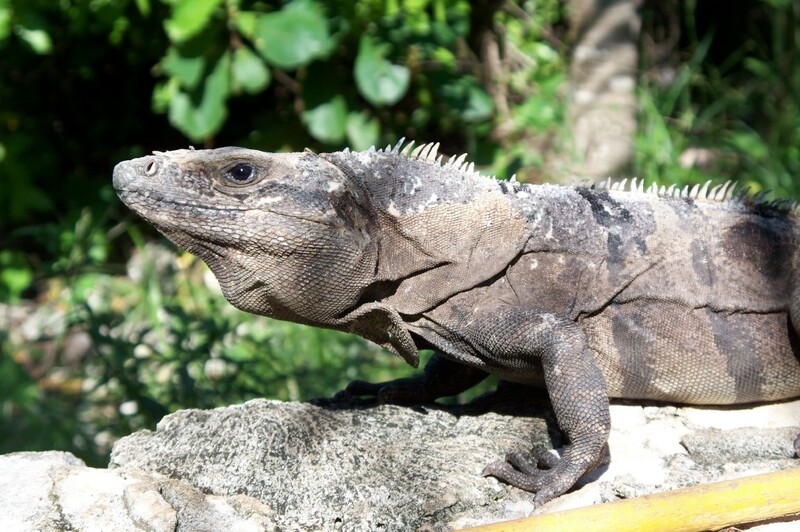 This entry was posted in Mahahual Visitors Manual, Off The Beaten Path, Tales From Mahahual. Bookmark the permalink. 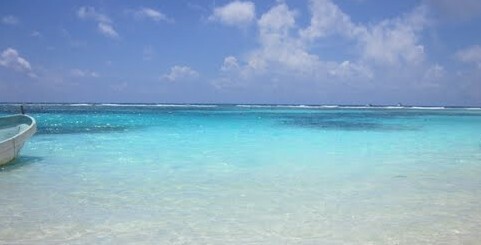 1 Response to Mahahual Mexico: A Progressive Vacation Destination! Mahahual is really a wonderful little town. I wish I could have stayed longer. There is so much natural beauty and the people are so pleasant. I hope the best for the future of this place.